It’s that time again. It’s time for the greatest Oppositelock motorsport event...IN THE WORLD. 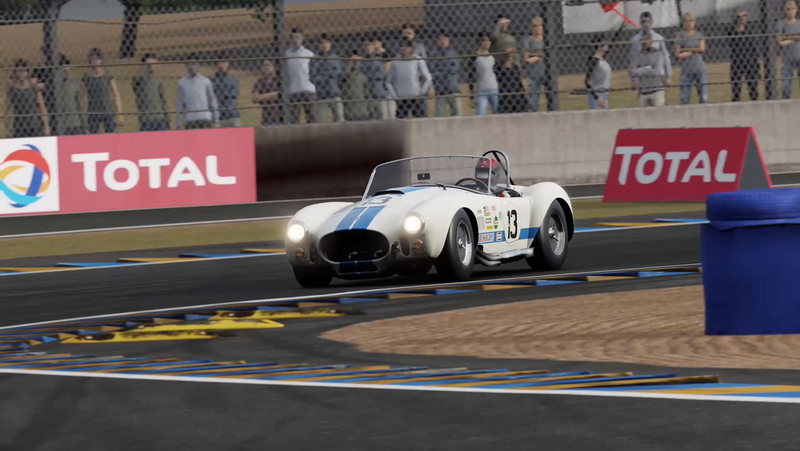 This is the planning and sign up post for the fifth annual Oppositelock 2.4 Hours of Le Mans. In this post, I have a few polls so all of you can play a part in working out the specifics of the race. That’s right, it’s time for Oppositelock’s most prestigious motorsport event. The race will be held on June 17th, but the time of this race will be up to a vote. This is to maximize the total driver count and to give as many options for as many people as possible. The vote itself is part of the sign up form at the end of this post. There are potential time slots for 4:30 PM, 6:00 PM, and 8:00 PM EDT. I’ve scheduled the options around other Forza racing series me and potentially some of you may be doing so as to avoid conflicts of interest. After a week of having the polls up, I will update this post with the time you have all decided on. UPDATE: The race will be held at 6 PM EDT. This race is part of The Oppositelock Endurance Championship, so it will feature the same cars, namely Group 6 style prototypes and Group 4 style GT cars. The same rules and driving expectations will apply as well. While this will be the sixth round of OEC, I want to emphasize that it is more of a standalone race than part of the series, just like the real 24 in relation to the WEC. You can do this race and no others for the rest of the year. This is one event. It just happens to be part of a larger overarching series. However, I am making some changes to the conventional procedure we’ve used up to this point. Firstly, and most importantly, for this race we are doing a Le Mans start. We will line up at a 45 degree angle along the pit lane wall, and the race start will be announced randomly and without warning by a non-racer, so as to allow some inconsistency on the start without actually “running to the cars”. Next, during cautions, each class leader will slow down and the field will catch up to their respective class leader. The safety car will lead whichever field is closer to them, unless there are two safety cars. At the time of this writing, BoP is just beginning. Nevertheless, BoP will be finalized a week before the race at the latest, so keep an eye out for updates from me. If you’ve been following the series, you’ll know that BoP is a lengthy process, most likely doubly so for Le Mans. Nevertheless, I’ll have it done ASAP. Check out the previous round’s builds and follow updates here. And did I mention we’re racing on Old Mulsanne, as in no chicanes? Oh yes. Prepare for top speed wars. If you are interested in participating in this race, please click the link below to complete a very brief survey so I can keep track of who signs up and their gamertags (the only information required is your gamertag and Oppo username). There will also be questions asking what class you will be running in, if you are interested in being a pace car (though we already have someone who usually is able and willing to do that), your twitch (if you have one), and what dates you would be able to attend. If you sign up and for whatever reason are not sent a friend request by me, feel free to send me one as well as a message indicating that you intend to participate in the race. My gamertag is Corey CC97. In addition, you can get in contact with RoboRed (GT: RoboRedMdn1te) or SVTyler (GT: mackleroy45) if you do not hear from me, and they will get you set up. If you do not complete the survey or get in contact with me or the other people racing somehow, there is a very good chance you will not be sent an invite to the race on race day. I will be posting reminders for the race frequently with links to this post. If you have questions, please leave a comment on this post or one of the reminder posts.